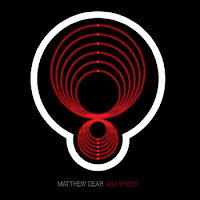 The release of Asa Breed Black Edition from Matthew Dear makes me very excited! 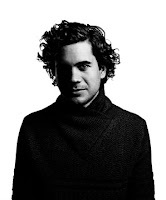 Listeners will be able to re-discover one of 2007's most unique releases re-packaged to include remixes and re-envisionings from Four Tet and Hot Chip, with whom Dear will be touring the UK in February. This album is the ultimate in head phone pleasure! Thanks to Nic from (a dog barks) for the tip off. 7. Will Gravity Win Tonight? 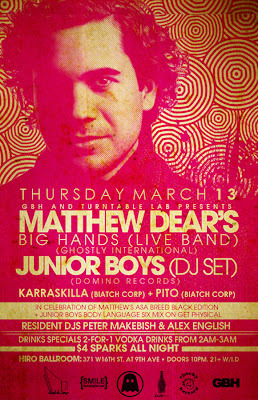 ASA Breed Black Edition is already available in the UK and Europe and will be released in the US tomorrow (March 11th). If you'd like to hear a few more songs before you buy this album, I'm uploading some tracks to Imeem-I'll pop back later and post a link.